​The program employs a multifaceted learning approach based on expert guidance, peer collaboration, self-analysis, experiential exercises and practical application. 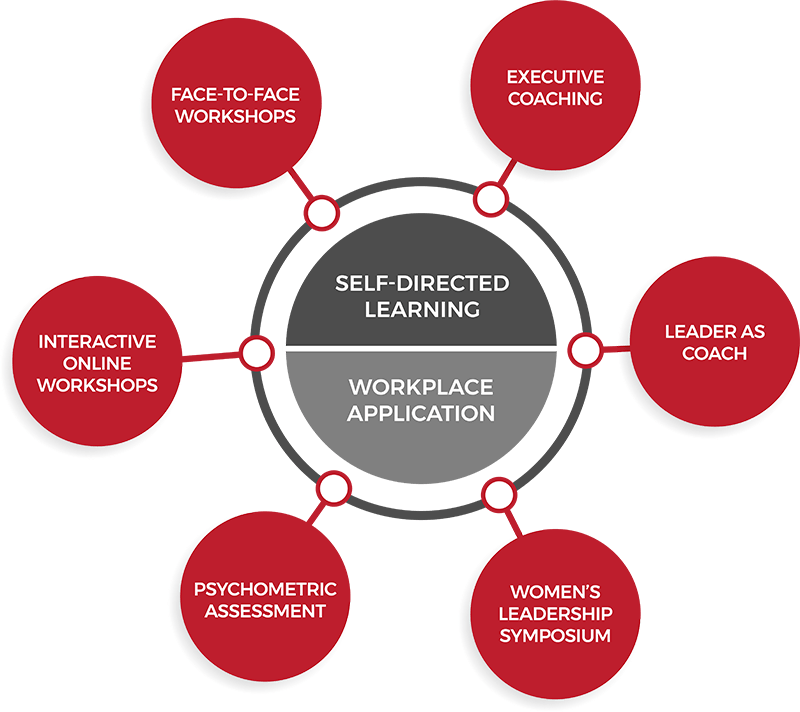 Theoretical exploration is continually overlaid with real-world experience to ensure that participants develop the adaptive skills needed to confidently overcome future challenges. This process is further enhanced through a combination of executive coaching and peer group mentoring, enabling participants to cultivate valuable peer level networks, build their self-confidence and hone the skills to lead at the highest levels. ALP participants are also provided a unique opportunity to engage with an extended network of high profile, experienced leaders through participation in the New Zealand Women’s Leadership Symposium. Held annually in every state and territory, the Symposiums are the most prestigious women’s leadership events in the country. ALP participants also attend the New Zealand Women’s Leadership Symposium. Addressing a wide range of topics including gender equality, leadership, career advancement and life fulfilment, the Symposium offers an important opportunity for New Zealand women to stay abreast of current local and international trends. Showcasing the country’s most respected and celebrated female talent as guest speakers and presenters, the Symposium provides the perfect setting for female leaders to share their experiences and learn from their peers. All applicants enrolling into the Advanced Leadership Program must satisfy WLNZ’s admissions criteria and adhere to standard admissions policies and procedures. Enrolments are at the discretion of the WLNZ Admissions Department. Enrolment details may be obtained by contacting the WLNZ Admissions Department. The program enrolment fee is $18,990 (+GST). The enrolment fee covers all tuition and coaching, program related materials and access to the WLNZ online learning portal. The enrolment fee does not cover travel and accommodation costs associated with attendance at the face-to-face elements of the program.